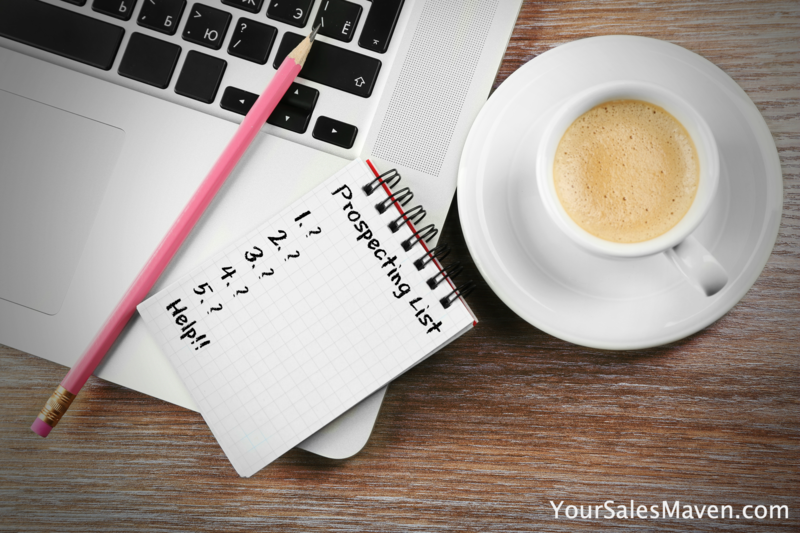 When you read the word “prospecting” do you groan or whimper a little? Most entrepreneurs dread prospecting. Even when you schedule it on your calendar, you might find a million and one other things that require your attention. You’ll do just about anything else so you don’t have to do it. There are a few reasons why most people dread prospecting. The first reason most people dread prospecting is that they don’t even know where to start. Not knowing the best way to reach out to someone keeps most entrepreneurs from ever getting started. The second reason is they are not sure what to say when they do contact a prospect. When’s the last time you tried to draft an email to a prospect only to stare at a blank page for an hour? Not knowing how to even open a conversation with a prospect will certainly keep you from getting started. Just last week, I worked with a client in a Strategy Session to craft her message so she can confidently start prospecting. Imagine how successful you’d be at prospecting if you had the answers to the above two reasons keeping you stuck? Feeling confident in reaching out to the right people with the right message may be all it takes to move your business to the next level. Being able to work with your ideal clients is the reason you started your business in the first place. As someone who’s been in sales for over 25 years, I’ve never been a fan of cold calling. It’s so much easier to prospect to warm leads. Once you know the best way to contact someone, you’re halfway prospecting effectively. For years, I’ve been teaching people the 3 easiest ways to warm up prospects. This is training I developed early on in my business and continue to teach today. To make prospecting easier, let me share the #1 way I teach clients to warm up their prospects. The easiest way to warm up a prospect is to ask someone who knows the prospect to make an introduction on your behalf. The advantage of doing this is, the introduction comes with built in credibility. Whatever relationship your prospect has to the person introducing you, you automatically gain some built-in rapport. Often, this simple tip is easily overlooked. People tell me they either don’t think to ask their connections to make introductions or they feel uncomfortable asking. However, when I share the script on how to make the ask, many of my clients start prospecting. A few years back I shared this script with one of the sales reps I was coaching at the time. She used it to open to the door to a 7 million dollar project which she won. She used that same script again to open the door to another 2 million dollar sale. Sometimes an introduction is not possible so having two more ways to warm up a prospect increases your chances of success exponentially. There are, of course, scripts that go with each of these additional ways. In a few weeks, the members of the Sales Maven Society will be participating in a live training where they’ll be given two additional ways along with scripts for each. It is an opportunity to get a deep dive into successful prospecting as well as have a chance to ask me questions. For anyone wanting this training, join the society now. Wishing you continued success in all of your prospecting.